A rare image. . Wallpaper and background images in the Fanboy and Chum Chum Club club tagged: boog oz. 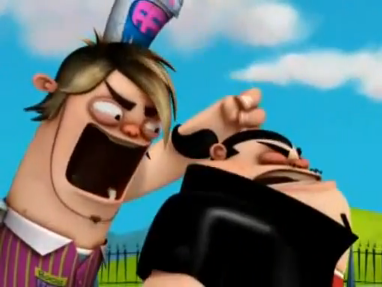 This Fanboy and Chum Chum Club photo contains portrait, headshot, gros plan, and closeup. No wonder I didn't see Oz get bopped yet; I never saw the episode, but I think I'll take a look at it. Aw, rats! I looked for the episode, but I couldn't find it! Rats means "darn it" in a way.